Situated at 1700m (5,600ft), Lake Van is a high altitude lake in eastern Anatolia. The shoreline itself measures 430km (230 miles) making it the largest lake in Turkey. The southern side is where most of our excursions take place. 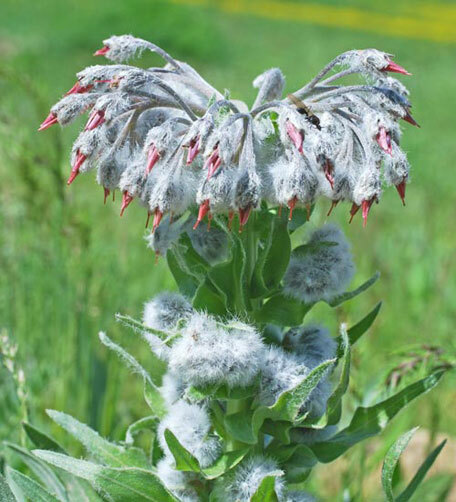 It offers varied habitats, volcanic craters, sub-alpine grass steppes, subalpine mountain and alpine regions each with their own special biotopes and flowers. Breathtaking snow-capped mountains surround the lake with high altitude passes to take us up to the snow line to find the earliest spring flowers Lower down these sometimes barren lands offers amazing flowers, fritillaries, tulips, dwarf irises, orchids, primulas, and the ubiquitous pea family in all shapes and forms. Lake Van lies at the heart of the ancient Kingdom of Urartu and it is impossible to escape history here. Herds of sheep and goats being milked in the high pastures, tented villages, shepherds riding donkeys all conjure up Biblical scenes; a reminder that this is Old Testament country. Ancient castles and religious sites are all woven into this well-rounded tour and there are intriguing questions to answer along the way. 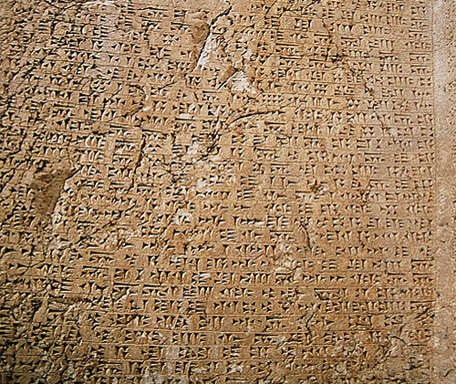 Does the Urartian hilltop stronghold of Cavustepe really look down on the original Garden of Eden? Your arrival in Istanbul starts this adventure. Participants are met upon arrival and transferred to the hotel. During the evening we will enjoy a welcome reception and introductory briefing in a private room at our hotel, followed by a relaxing dinner. A midday flight takes us to Van and to our hotel for the next 7 nights. After checking into our rooms with the lake view we are ready to set off on our first exciting excursion to Akdamar Island to see the restored beautiful Armenian Church. A picnic basket with fresh local bread, cheeses and fresh fruit, with the mythological Buzbağ wine from the time of the Urartians, will travel with us on the boat. Our first full day will be searching for flowers in the meadows and woodlands on the south side of the lake, before circling back to Van inland through Gürpinar. There are a good number of orchids inhabiting this area including Dactylorhiza umbroza and Orchis pseudolaxiflora which are both widespread in wet meadows. The spectacular and rare Comparia compariana is around too but it is mostly too early to see it in full flower. Expect colourful meadow flowers in abundance. Today we set out eastward to visit the spectacular waterfalls at Muradiye. 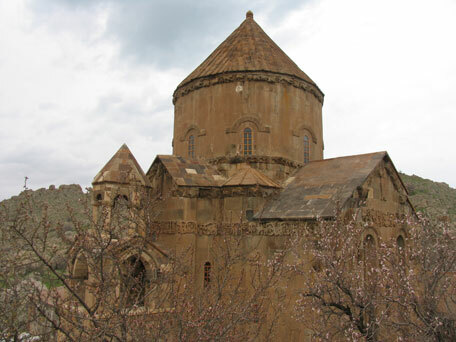 An Armenian monastery lies just off the route providing for a worthwhile excursion. Upon our return we will visit Amik Castle on the lake shore. Along the way we hope to see a number of dwarf irises including the Iris barnumae. Gladiolus kotschyanus grows around the waterfalls as does Iris iberica. No doubt orchids will be spotted along the route and there will be a full cast of supporting flora with centaureas, cyanoglossums through to vicias. For a total change of habitat, we are off up the Çatak Road to reach some higher elevations and explore some of the dry steppe which can be full of interesting flowers. Some of the gorges, gulleys and damper areas provide different habitats increasing the variety in the flora. Tulips should be amongst the day's finds including the Tulipa armena, T. sintenisii and I. paradox. Orchis coriophora is often found in this habitat and we can expect to see some campanula on this excursion, possibly Campanula reuterana, C. flaccidula and the diminutive C. karakuschensis. This is another day for seeking higher ground as we head up the Güzeldere Pass. 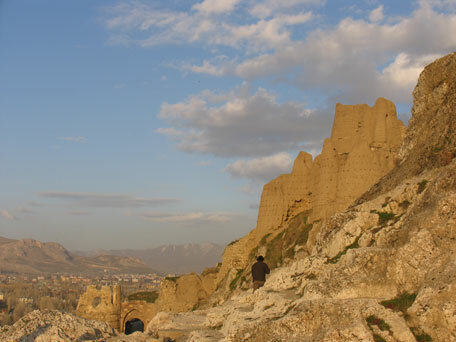 Without too much deviation we can take in Çavuştepe castle, one of the best known Urartian fortresses and further on we will stop at the formidable Hosap castle. The top of the pass is around 2,700m (8, 860ft) and if there is still snow around we can hope to find Gentiana verna, Primula auricula and P. algida. 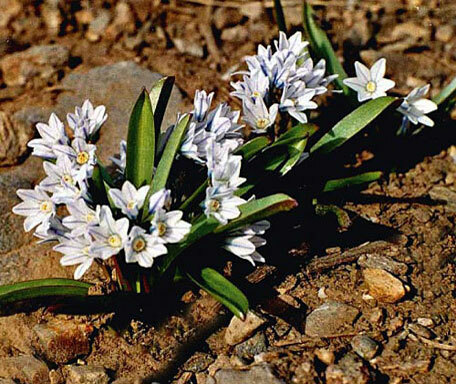 On the way we might find yet more tulips, T. biflora, T.humilis, and T. syvestris and possibly another Iris, I. pseudocaucasia. There will be gageas and muscari in variety which always prove challenging in their identification. The old Nemrut volcanic crater at the western end of Lake Van is now a lake. This is our target for today travelling through Tatvan to reach it. There is more interesting flora in this area including fritillaries and orchids. Orchis pinetorum grows inside the crater as does Dactylorhiza flavescens. Also here we can look for Fritillaria minuta and F. assyriaca. There will also be plenty of the more common species around. The adonis is well represented in the region with at least four different species. The beautiful Consolida orientalis at its peak can paint whole fields blue sometimes rivalling the fields of red poppies. It is back to high ground again today to find alpine conditions on the Karabet pass which is located just south of Lake Van. If we have missed Iris sari so far we might see it today. 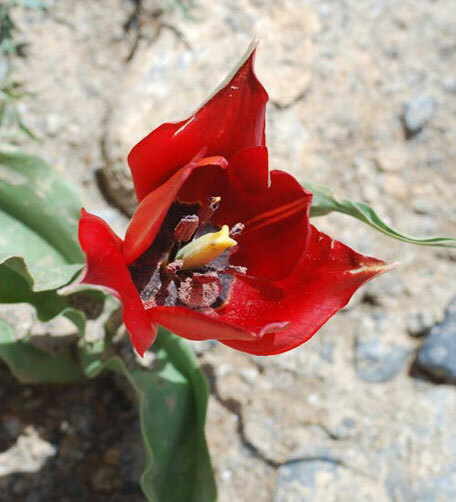 It is one of 11 species known to grow in the Lake Van basin along with Tulipa armena, one of 8 species, and Fritillaria crassifolia, one of 16 species. It could be a day for seeking out saxifrages too with Saxifraga kotschii recorded here. This morning we explore the old city of Van before we drive back to the airport for our mid afternoon flight back to Istanbul. Check into our hotel at the heart of the old city of Istanbul. Enjoy a festive farewell dinner tonight at an exclusive restaurant. After breakfast, participants are transferred to the International Atatürk airport to make their return flights. Discretionary gratuities to your guide and driver.